Products are drop shipped from the closest US or Canadian distribution center. Factory direct wholesale accounts. Set up your account today & enjoy 25% off retail! Showcases the entire product portfolio in a nice handy booklet. Order yours today & we'll mail it immediately! What is synthetic lubricants and why is it better? Does all synthetic lubricants offer the same level of protection? Some of these questions are answered in the "synthetic oil basics" video. Click on the icon to the left and see the short video. In today's automotive world, synthetic lubricants have become the preferred choice. Individual DIY enthusiasts as well as original equipment manufacturers are opting synthetic lubricants over conventional lubricants. The fundamental reason for this adoption is that a properly formulated synthetic lubricant can provide far greater wear protection than conventional mineral oils. Synthetic lubricant's inherent chemical stability can withstand extreme stress, shock loading and temperatures. AMSOIL was the first company in the world to adopt synthetic technology for automotive lubrication by launching the world's first API certified 100% synthetic motor oil in 1972. AMSOIL is also the only company in the world to own the trademark rights to "The First in Synthetics". AMSOIL is also the first in quality, protection and performance. Since the early 70's AMSOIL has been the pioneer in manufacturing the world's best synthetic lubricants. AMSOIL product offerings range from small engine applications to heavy industrial lubricants. 40 years later, every other conventional motor oil manufacturer has followed AMSOIL's innovation by introducing their own synthetic line up. However, it is important to know that not all synthetic lubricants are made equal. Government agencies offer consumer protection in certain marketplaces such as food, pharmaceuticals etc., however, motor oils are not regulated to the extent where the consumer could buy the product solely based on the label or advertisement. To make things complicated for the consumer, a court ruling was awarded making it legal for motor oil manufacturers to use Group III Hydroisomerized petroleum base oils and still label the end product as 100% synthetic. Group III Hydroisomerized oil is a highly refined form of petroleum oil, yet plagued with their inherent drawbacks that made synthetic base oils better in the first place. Basically, manufacturers can call their highly refined petroleum oil as 100% synthetic & it is legal. Today, the market place is literally filled with substandard synthetic motor oil products. Consumers who buy these products with high expectations driven through multi-million dollar advertising campaigns and race sponsorships, end up with disappointments. 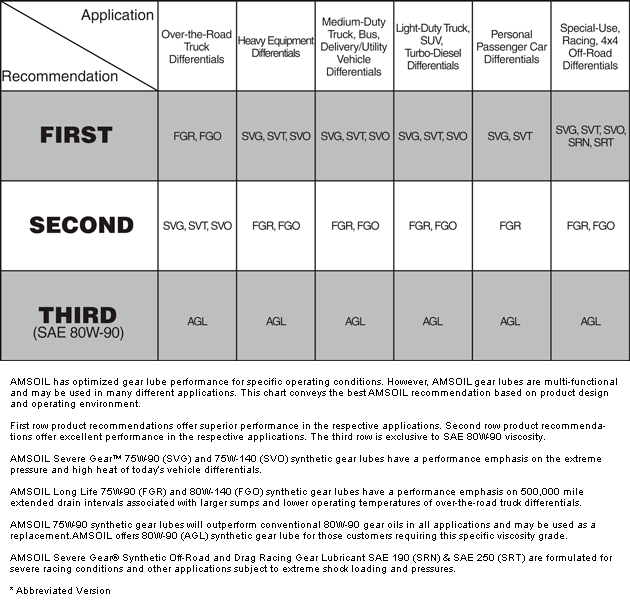 For this reason, most of the synthetic motor oil labels would not indicate extended drain capabilities or their "ability to do more" than a conventional motor oil. On the other hand AMSOIL coined the term "extended drain interval" in the 1970's as a testament to a true synthetic lubricant. Our top of the line signature series motor oils are guaranteed to perform for 25,000 miles or 1 year. Since the 1970's AMSOIL has proved that a true synthetic lubricant can do lot more than a conventional lubricant. After 40 years of advancement in technology and the vast array of synthetic oil manufacturers, yet no company in the world, delivers products like AMSOIL or match AMSOIL's technological know-how in synthetic lubricant industry. 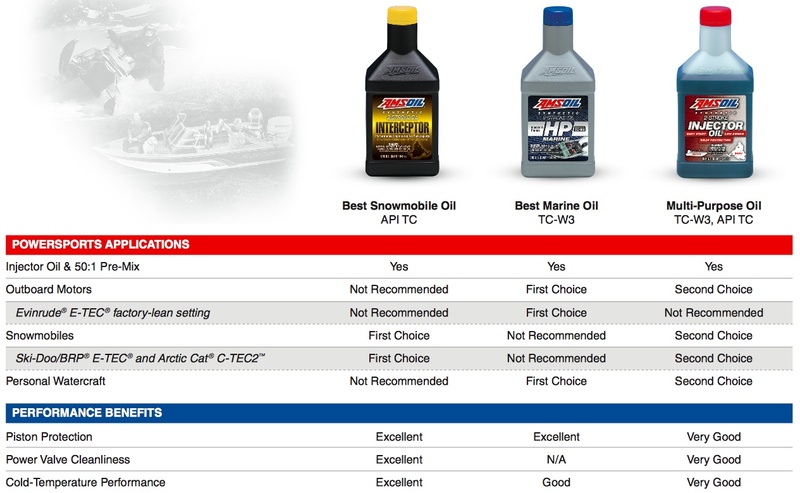 In fact AMSOIL is the only company to publish comparative motor oil test results to the public as an evidence that no company matches with AMSOIL technology & experience. With AMSOIL's true synthetic lubricant you get great protection and thus full value for the money. For example, a lubricant's film strength is the most crucial aspect that determines component protection against wear. This "film of lubricant" keeps two moving parts from coming into direct contact. This film of lubricant experiences phenomenal levels of stress. Engine wear occurs when this "film of lubricant" shears off. However, this shearing failure is extremely common with petroleum based motor oils as their film strength is only about 400 psi, while a true synthetic motor oil formulated by AMSOIL is rated at 3300 psi. Additionally a true synthetic will not loose its viscosity, burn off or break down under heavy stress and temperature extremes. Another side effect of petroleum motor oil is that they leave behind varnish, sludge and carbon as they break down under stress. These contaminants circulating within the engine and in between moving parts accelerates wear. These deposits causes an engine to go out of tolerance, valves to stick and blocking oil passages. OilsR.Us website is your one stop source for the world's best ultra premium synthetic motor oils and filtration products, which outperforms competing products like Mobil 1, Quaker State, Pennzoil, Castrol syntec, Royal Purple, Red Line, Motul etc. Can a motor oil pay back more than its worth? 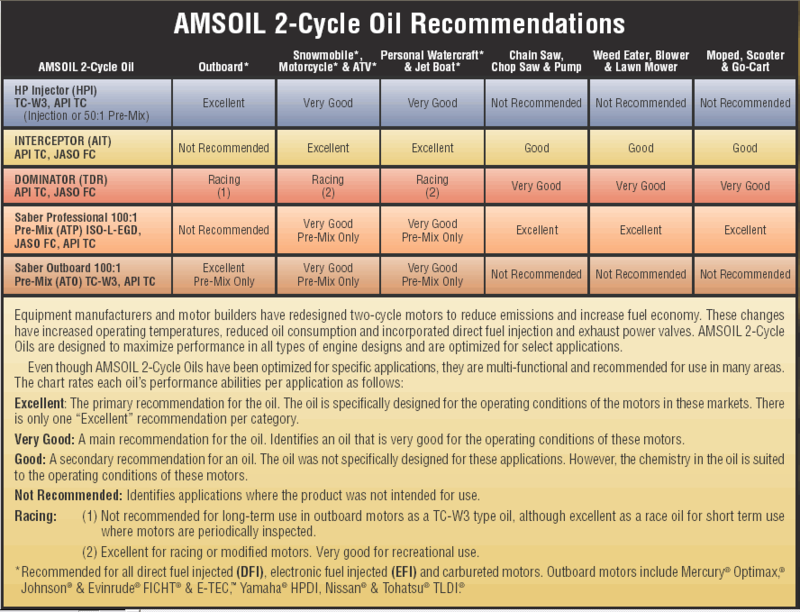 AMSOIL products offer value in 2 areas. The first is its ability to perform and protect. The second is its ability to save (both short and long term). "Extended drain interval" technology simply translates to source reduction. Fewer oil changes means fewer dollars spent on oil, filter and labour while achieving better performance, wear protection and fuel economy compared to multiple oil changes using conventional products. AMSOIL's long term savings come through dramatically extending equipment life. For example, AMSOIL lubricant's cold flow properties can protect an engine on extremely cold days. During cold start up, conventional motor oils can take several minutes before they can start flowing to crucial engine components, until then the engine is essentially running without any lubrication. Cold start wear can be virtually avoided through the use of AMSOIL lubricants that can flow even at -63°F (-53°C). By being able to flow freely and being able to "cling" to metal surface on a molecular level, AMSOIL allows an engine to crank easily during extremely cold days as well as on normal days. This translates into longer engine, starter motor and battery life. AMSOIL's superior technology also offers peak performance during extremely hot summer days & desert climates. Continued use of our technology increases equipment life. Engines, transmissions, transfer cases and differentials last much longer, saving thousands in equipment replacement and or through increased equipment resale value. Studies estimate savings of over $100/year in oil change cost alone, when AMSOIL extended drain motor oil is used in a vehicle with 5 quart system that covers 25,000 miles/year. Customers who drive even half this distance, will still save with AMSOIL compared to the cost of conventional petroleum motor oil changes. Efficient use of fuel is an important consideration. Today's modern engines are efficient than the engines of the past, however, fuel is still lost in internal friction and heat. When internal friction is reduced the engine naturally becomes more fuel efficient and the core temperature is also reduced. This factor alone can save 2-10% in fuel consumption. When applied to a large fleet, the fuel savings can translate into the thousands of dollars. This is not a myth or marketing hype, but a proven fact since the very inception of the company since the 1970's. AMSOIL's ability to significantly reduce friction, allows every mechanical component inside the engine, transmission, transfer case & differentials to move more freely translating to more miles per gallon! Automotive industry testing demonstrates fuel consumption decrease by 2-5% when synthetic lubricants are used. However, customers using AMSOIL synthetics report much larger gains in fuel economy. This is because higher quality oils offers superior lubricity or slipperiness within the moving parts of mechanical components thus reducing friction under broader load and operating conditions. Its true that "it pays to use AMSOIL"! The Right Choice for the Environment! Messages on the importance of being “green” and erasing our carbon footprints are everywhere these days. Consumers are becoming increasingly more conscious about how the purchasing decisions they make impact the environment. On the other hand, worries over rising costs of everyday purchases (fuel, groceries, etc.) have consumers scrambling to find a product they can feel good about that won't break the bank. Move up to AMSOIL! Since the introduction of the world's first synthetic motor oil, AMSOIL synthetic lubricants have been setting new standards for motor oil quality. They are specially designed to protect engine components, reduce emissions, last longer, reduce fuel consumption and prevent environmental pollution. From the beginning, AMSOIL synthetic motor oils have outperformed conventional petroleum motor oils on all counts. The advanced lubricity (slipperiness) of AMSOIL synthetic lubricants has also been proven to increase fuel economy. This reduces dependency on foreign oil and overall fuel consumption. The resulting improvement in fuel efficiency and reduction of emission levels contribute to the conservation of natural resources and protection of the atmosphere. AMSOIL INC. doesn't just leave the responsibilities of environmental protection to the products; the company itself is diligent in making efforts to keeping the earth clean. AMSOIL recycles virtually 100 percent of the corrugated trays and packaging boxes that come into its facilities, equaling several tons of recycled cardboard each month. All used steel drums and all “clean” plastic bottles are also recycled. We understand that switching motor oil is a big decision. A decision that must be validated with factual information and scientific proof to back up the product. The following video section has been added to further enhance your research experience. Watch » Know » Use! Erik Buell: They Build It. They Punish It. They Trust It. Bobby Unser, former Indy Champion - "Just Change"